We, translators, use a lot of various tools like many other personal computer users. However, we also need translation and localization specific software that enables us to process different file types and provide consistent translations for each of our clients. My CAT-tool of choice has been memoQ, and today I purchased an SDL Trados 2017 license. My license allows working with up to five languages. For me, they are English, Ukrainian, and Russian, plus French and Spanish. The first three have been the most active ones, but I also hope to work more with the last two as well. Man, I missed the 14-million word milestone because I've been too busy lately. I am doing very interesting and challenging and huge jobs, they include transcreation of TV ad of a nasal spray — already bought and used one, :) — family planning and contraception, gas storage and trading project, mobility for all and Olympic Games, all kinds of tools and screws and anchors and fasteners for construction and more. In addition to translation into my native languages, Ukrainian & Russian, I also translated one job into English this month. Recently, I have added to my translation/transcreation portfolio such brands as Honda, Skoda, Strepsils, and Facebook. I translate from English into my native languages—Ukrainian and Russian. "The proofreader was very impressed with your work. Thank you for being so thorough!" I decided to make a list of brands I transcreated/copyedited copy for from English into Ukrainian and Russian for the last few years. They include Coca-Cola, Pringles, Nestea, Heinz, Weber, P&G, SC Johnson, Colgate-Palmolive, Durex, Lenor, AVON, Lenovo, ASUS, HP, Epson, Mattel, Microsoft, IBM, Huawei, Castrol, CAT, Siemens, Philips, Scholl, Duracell, GoPro, Strepsils, OneTouch, Otrivin, Montblanc, Tiffany, Dalmore and more. 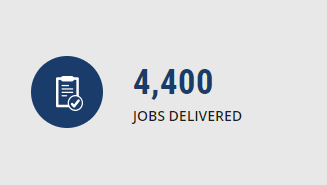 I reached another milestone—4,500 translation, localization, editing, and transcreation jobs successfully delivered to clients. 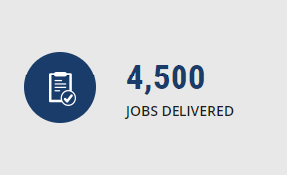 The last 100 jobs were mostly gas transportation and trading platform localization, translation for luxury car brand, education website translation, chat and other apps localization and QA. Ukrainian nouns have several plural forms depending on the preceding number, therefore if the technical writer and/or app developer does not take it into account, it will be not so easy to localize the app into Ukrainian properly. Translators have to look for a workaround like "d% дн." or "Дні: d%", which are not always good or possible. Luckily, more and more clients listen to our advice and implement options for several plural forms of nouns. One of such clients is the developer of a global messenger who decided to take into account the peculiarities of Ukrainian grammar and address the above issues. You can find plural rules for different languages here. You can read more about my translation and app localization services from English into Ukrainian and Russian on my translator's home page. I am back to my office after my week's vacation. I usually work during my holidays, but I take only non-urgent small jobs. 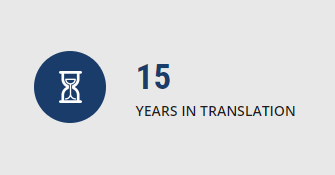 Now that many companies use memoQ server, translation requires good Internet connection. Unfortunately, most hotels provide poor Internet connection, even when paid. This time, one of my clients sent a memoQ package instead of server project, and I translated the job offline. I also did a few very interesting and creative transcreation projects. Such jobs usually involve two or three creative adaptations of marketing copy with back translation and rationale. This time I transcreated ads from English into Ukranian for TV, Facebook, and some other channels for the local market. Read more about my transcreation experience in my Ukrainian translator's portfolio. I will be out of office for about a week. Therefore, I will not be able to take urgent tasks. However, I will be happy to help you with smaller non-urgent translation assignments, localization jobs, transcreation projects, etc. Please contact me for more details about my availability during said period. Please the contact form on my translator's page. I have finished another big batch of files translated to one of my native languages. For some of the jobs, my client benefited from my translation into both of my native languages, which are Ukrainian and Russian. This project is very important and 'hot' as Ukraine is becoming a European gas hub. The solutions allow managing the daily business processes of natural gas transportation and effective cooperation of gas market participants. The job involves very specific terms, such as allocation, matching, shippers, etc. The point is they have specific Ukrainian and Russian equivalent that may seem 'strange' to people that are not familiar with the field. Most of said terms are not in the dictionaries, so I had to use reference materials, such as tender documents and official documentation in the target languages to use proper language. Please see my major translation fields. I've delivered a large translation job for a global manufacturer of dental care products. It contained about sixty thousand words to be translated from English into one of my native languages*. The task was to provide idiomatic adaptation that sounds fluent in the target language without unclear medical terms, because it was written for ordinary people who care about their oral hygiene. The adaptation also included the use of generalized statements, such as 35% of people or population instead of 35% of Americans, etc. Because we adapted the copy for the local market. *I am equally native in Ukrainian and Russian. Please see more about my translation services. 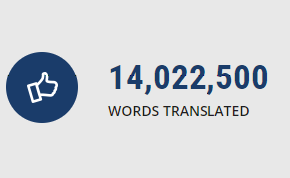 Today marks the next milestone, as I have translated 4,400 jobs since I started my career as a freelance translator. These include translation, editing, proofreading, localization, and transcreation jobs from English into Ukrainian and Russian, and even from my native languages into English. They can vary from a few-word projects to several-thousand-word jobs and can take from minutes to weeks to complete. Every month I deliver about 25 jobs of varios types and sizes. Please see my translator's counters. In my translator's portfolio, I included such fields as technical, legal, patent, military translation, software localization, and creative adaptation (so called transcreation). I also mentioned my successful experience in finacial and medical translation. Today, I'd like to add two more fileds in which you can count on my expertise. Having educational background, I have translated a number of large projects concerning e-learning and education, use of enhanced technology, software, apps, and devices in modern classrooms. In particular, I translated a part of Microfost Education content. Thus, you can have your education related materials translated by a professional translator with a educational background who also worked as a professor for eight years. You can also entrust me with the sports related translation. Being an active athlete, I participated in several sports translation projects. Perhaps, my favorite was the one for Zumba. Because it posed a number of creative and translation specific challenges. I translated some of their web-site content and Zumba fitness instructor training materials for the local markets. Their copywriters did their best to stuff the copy with many creative puns, and I managed to adapt them for the target audience. I am happy to announce the launch of my web-site where I offer profesional translation services. I am native in Ukrainian and Russian and fluent in English. As an engineer and linguist, I mostly translate technical documents. You'll also see that I have a wide experience in translation of patents and military materials. However, I don't mention that I have a sound experience in translation of finacial documents and localization of several forex (FX) related web-sites, as well as successful experience in translation of medical documents, often with a technical or legal bias, because I don't have medical or finacial backgrounds, only successful translation experience and happy clients. Here you can see my announcements, updates, notes on my availability, major projects, milestones, etc. Please also read more about my services or contact me for more details. Looking forward to hearing from you.